Disney version, but it would make Walt himself proud! This romantic and funny adventure has all your beloved characters - and a few more, beside! Of course, there's the raven-haired and resourceful Snow White who dreams of meeting her Prince - who, in this case is the very charming Prince Philippe. She's never been to a ball before, but Philippe immediately puts her at ease and sweeps her off her feet! Then we have the evil and devious Queen, who will stop at nothing to remain the fairest one of all - every day - all the time! Her witty and slightly beleaguered Magical Mirror is enchanted to rhyme and answer every vane question she asks, but never hesitates to add just a touch of sarcasm. Banished to the dungeon by the Queen, Snow White escapes into the forest in the nick of time where she meets the Dwarves who tell her: "people call us dwarves but we would like to recommend that you don't put a label on us - just call us friends!" A clever retelling of the classic tale! Comedy, romance, adventure and great songs make this great family theatre! 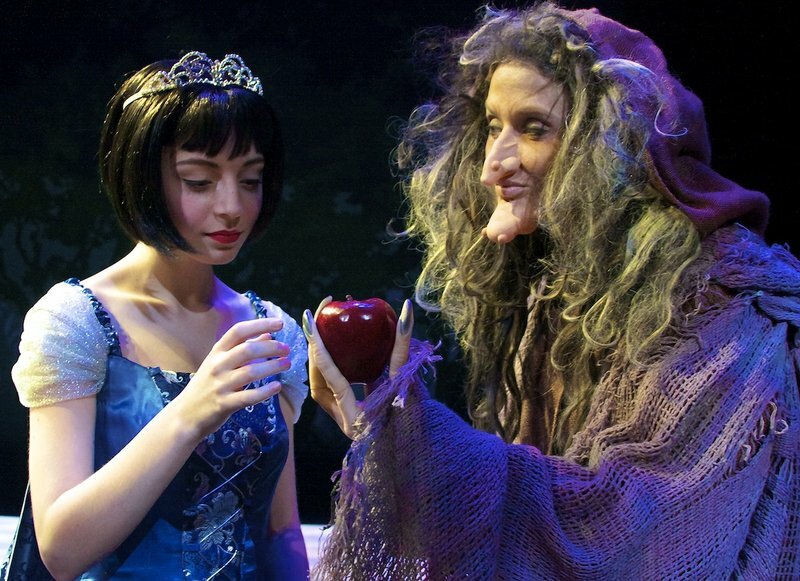 Licensing of SNOW WHITE AND THE PRINCE is through THEATRICAL RIGHTS WORLDWIDE (TRW) in New York City. Prusal scripts and packets are available by phone (866) 378-9758 ﻿﻿clicking on the TRW logo below. 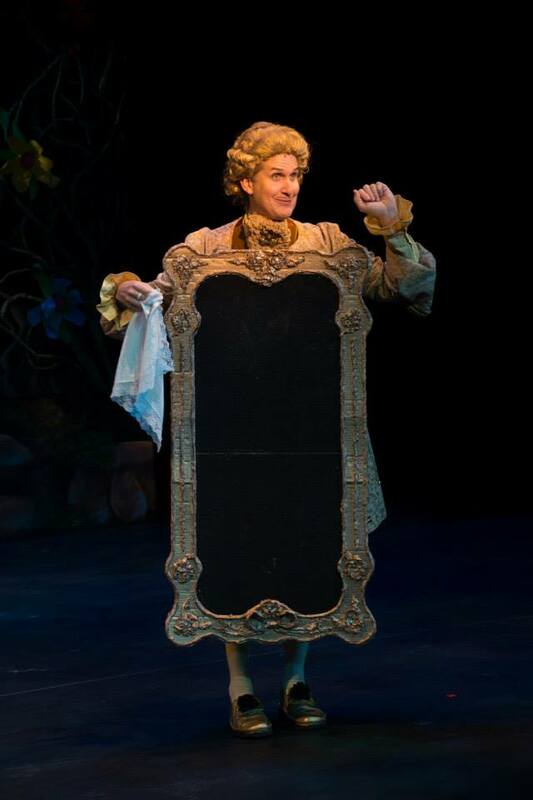 After a rousing Overture we find the Evil Queen in her chambers asking the Magic Mirror who’s The Fairest One of All? the Mirror answers truthfully “You, my Queen, for none could be – more beautiful than thee!” But is she, really? Snow White and her Nursemaid excitedly talk about the royal ball which will take place the next day. Snow White admits she is nervous and cannot dance, but is reassured that anything can happen. Snow White muses she may find her dreams coming true with Just One Dance. Meanwhile up in the Queen’s chambers, the Mirror ponders what life might be like living somewhere else - but then admits with remorse: No - I Got the Queen! 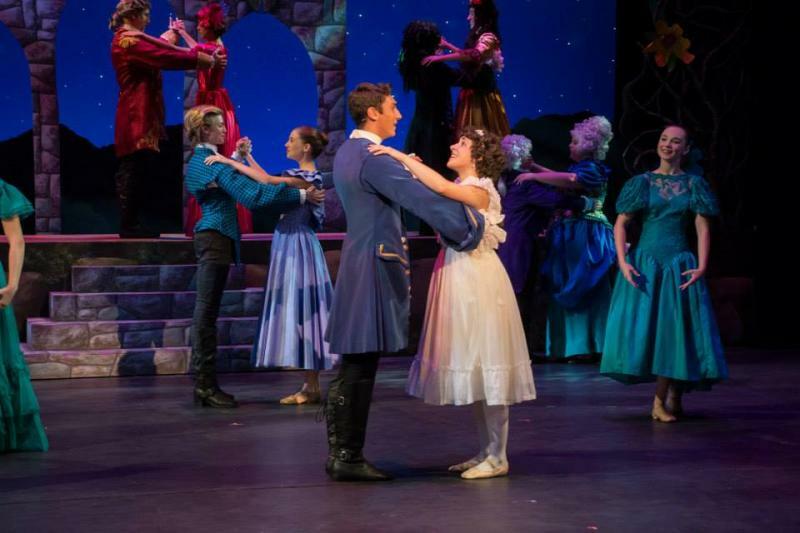 At the Ball, all of Snow White’s fears melt away when she meets the charming Prince Philippe who teaches her how to dance The Waltz and they both immediately fall in love! But when the jealous Evil Queen makes her grand entrance, she sends Snow White to bed. After the ball, when the Queen asks the Mirror ho’s the fairest?” the Mirror truthfully replies “Snow White is now more beautiful than you!” Enraged, the Evil Queen decides to send Snow White to the dungeon in the morning. Overhearing the Queen’s plan, the Nursemaid quickly tells Snow White that she must flee the Castle immediately and hide in the forest. A frightened Snow White is encouraged by her loving nursemaid to hurry On Your Way – and who knows what great things adventures she may find! At home, Prince Philippe cannot sleep, is so struck with love for Snow White. Rupert, his friend and valet, encourages him to get some sleep , but the Prince falls asleep thinking about his Waltz with Snow - Waltz Reprise. In the morning, the evil Queen goes to Snow White’s bedchamber only to find her missing and summons her guards. But Snow White is far off in the woods where she meets the seven Dwarves who declare are beyond cool and is immediately taken with her new, happy, singing and rhyming friends – but the wily dwarves sense danger and invite Snow White to stay with them. 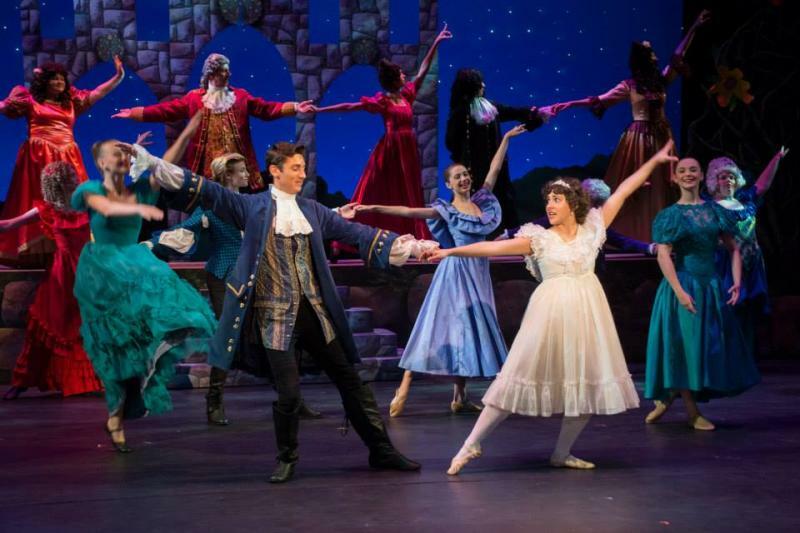 At the Palace, the Prince and Rupert stop by to see Snow White and her reluctant Nursemaid admits to them that she has fled into the forest – and the Prince declares that he will go after her to protect her. The Queen, however, conjures up a new plan to subdue Snow White and once again become the Fairest One of All - and she and the Mirror also venture into the forest. Wandering lost through the forest, the Prince and Rupert are suddenly surrounded by the Dwarves who think they have come to harm Snow White. They engage in a Forest Rumble and the clever Dwarves are victorious. But soon they explain that they have come to save Snow White and the Dwarves lead them to her. Back at the house, Snow White cannot resist taking The Bite of the candy apple and falls to the floor in a deep sleep as the Evil Queen rejoices to be the fairest once gain. When the Prince, Rupert and the Dwarves arrive, they are heartbroken when they find Snow White deep in the spell. They all mourn her – Every Little Thing Reprise but Rupert reminds the Prince that he had once said that love could conquer all evil. The Prince kisses Snow White and she awakes - and together they pledge that their Love Can Never Die. Once all has been restored, the Prince, Snow White and the mighty Dwarves head to the palace determined to once-and-for-all put a stop to the Queen.